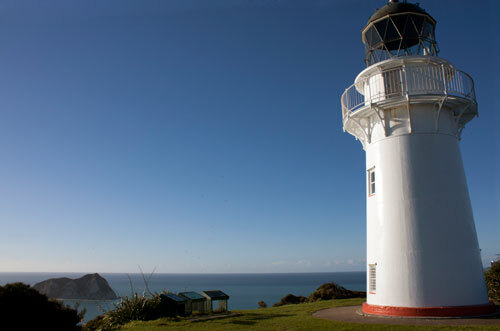 East Cape lighthouse is sited at the most easterly point of the North Island, as British explorer James Cook surmised when he named the promontory. The lighthouse was first erected on nearby East Island (Whangaōkena) in 1900, but was moved to the mainland, due to land instability, in 1922. The station was automated in 1985.